Bluebonnet's EarthSweet Chewable Vitamin B-12 Methylcobalamin 5000 mcg Tablets provide pure crystalline vitamin B-12 (methylcobalamin) in a natural raspberry flavor. 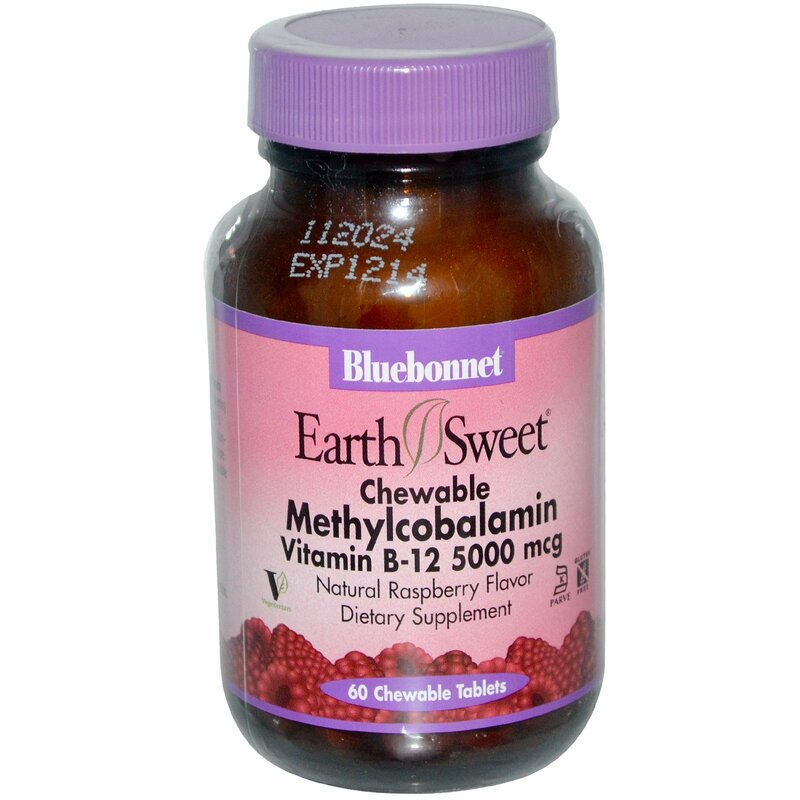 Sweetened with Earthsweet, the industry's first, all-natural, sweetening mix of juice concentrates (wild blueberry, cranberry, prune, cherry, strawberry, grape, raspberry and bilberry fruits, grape seed and raspberry seed extracts) and cane crystals. Available in chewable tablets for maximum assimilation and absorption. 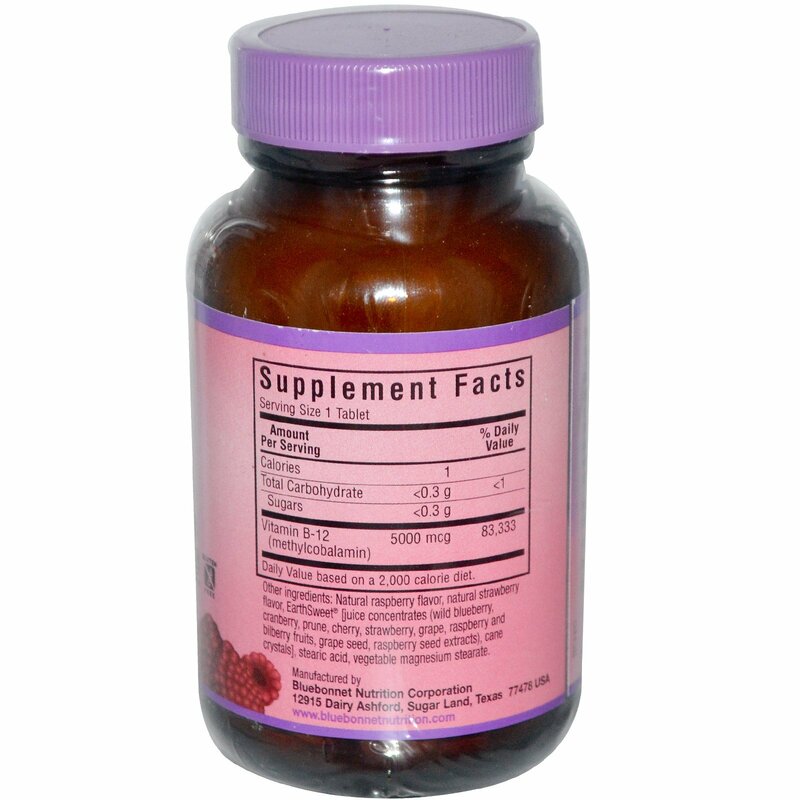 Natural raspberry flavor, natural strawberry flavor, EarthSweet [juice concentrates (wild blueberry, cranberry, prune, cherry, strawberry, grape, raspberry, bilberry fruits, grape seed, raspberry seed extracts), cane crystals], stearic acid, vegetable magnesium stearate.